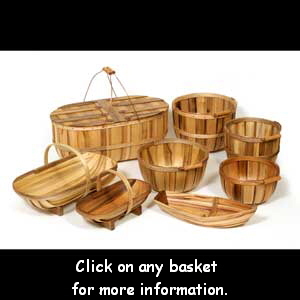 Since 1979 we have handcrafted a collection of unique Myrtlewood baskets. 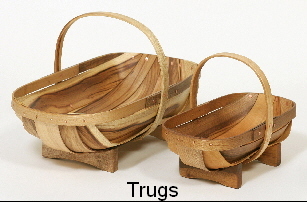 Traditional designs - lifetime baskets. We build the baskets one at a time.... by hand, using beautiful Myrtlewood. Classic leather-hinged picnic baskets, bushel slat baskets and traditional English style trugs made by an Oregon family of third-generation boatbuilders. We hand build each basket using Myrtlewood, fasten them with cut copper and finish them in clear mineral oil.